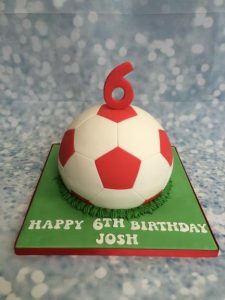 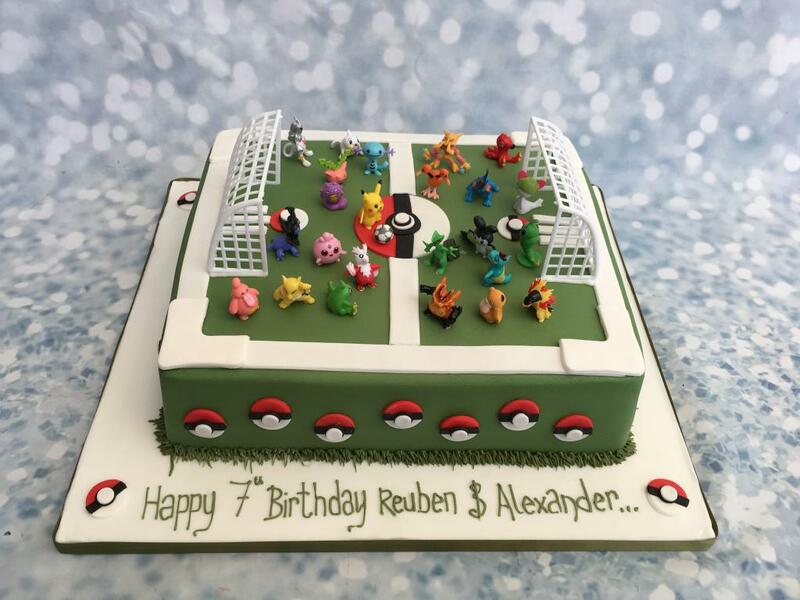 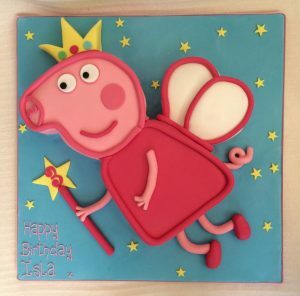 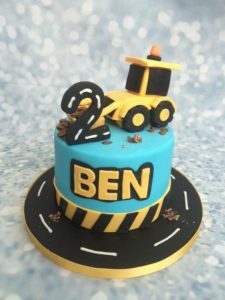 This is a large a 10″x12″ cake decorated in a football pitch style with piped grass edging and Pokémon balls around the cake. Pokémon figure toys have been iced to the pitch making this a real winner! 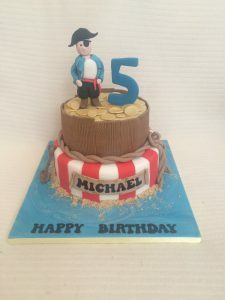 Character toys and goals provided by the customer.